Oxygenating weed is vitally important in any pond or lake situation, not only to produce oxygen, but also to use up nutrition. If you have more nutrition in a pond than you have life to consume it, algae and blanket weed will take advantage and thrive on the over nutrition. Because blanket weed is such a key problem, we have written an article discussing how to reduce its inpact in ‘algae and blanket weed’. 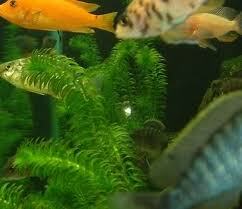 However, problems can arise when the oxygenating weed becomes invasive. Normally if you pull it out, it just breaks off which stimulates rapid re-growth, a bit like pruning back in the garden. However, if you were to pull it out six months after Aquaplancton has been in there, the Aquaplancton will have eaten away the mud foundation that the weed is rooted into meaning that the whole plant will come away, roots and all. You have a much better chance of controlling it in this way. 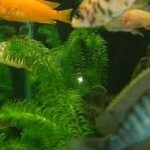 This entry was posted in Pond Problems, Tips and tagged blanket weed, Lake, Pond. Bookmark the permalink.